For years I have been trying to catch up with the wonderful Danny Norman to stop and see his amazing collection of tractors, trucks and more on his farm in Georgia. 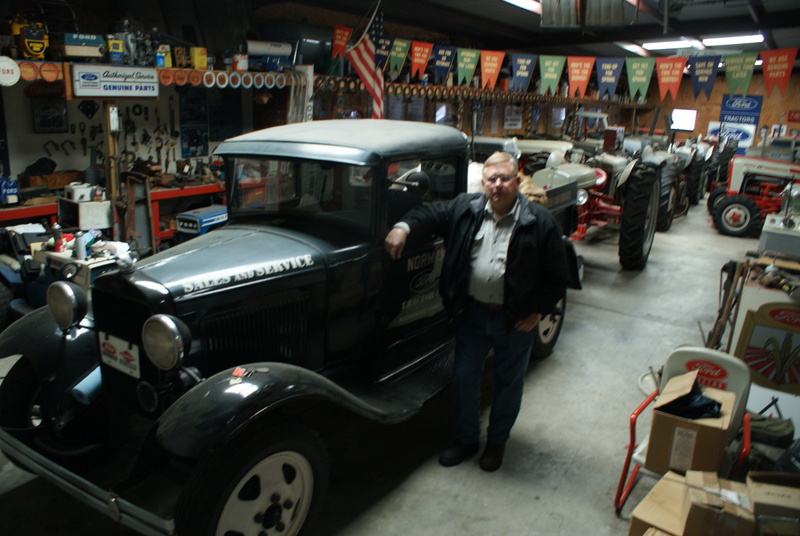 I first met Danny in Illinois at Penfield, Illinois where I saw his very cool Ford Tractor that is not a Ford. Danny’s Farm is called Tea Grove Plantation and he has amassed an array of beautiful tractors etc. With only a few hours to spare on the way home from this year’s Florida Flywheelers we stopped by and visited with Danny. While there, we focused on Danny’s Ford collection and saw and heard just a portion of what Danny has to share. Danny started collecting at the age of 11 and has a story for each item in his collection. If you ever get the chance to join in an event at Danny Norman’s, jump~! Since he is a private collector, this museum is not open to the public, but he occasionally has small events and he does take his items to shows for everyone to enjoy! I have a lift that is hooked to tractor 8 N tractor. To pick it up so you can change the tires for culivator. Never seen one before. Would like some information. Sounds interesting. Sadly I just wrote about the tractors, but perhaps Mr. Norman, or a Ford collector would be able to assist you.